This program has been executed so as to analyse the importance of integrating the international human resource management function in the multi-national organisations. This report discusses the analysis of the nature of the international human resource management and organisational strategies and their importance which helps the multi-national organisations in dealing with the various issues. International HRM function plays a vital role for every multi-national organisation. This program helps in developing a better understanding of the importance of IHRM and organisational strategies and the challenges faced by the organisations while implementing IHRM and organisation strategies. It provides knowledge of the IHRM and its nature so as to execute the program in a better manner. The term “International human resource management” can be understood as the process in which the focus is on the procurement, allocation and utilisation of the human resource in an international organisation or a multi-national organisation. 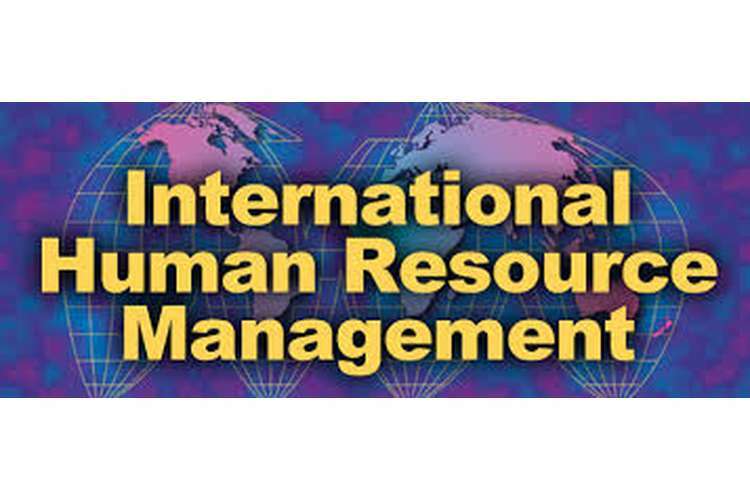 The main motive behind using the International Human Resource Management is to integrate the human resource policies and practices over the different subsidiaries of the multi-national organisation so as to direct the efforts of these subsidiaries towards the objectives or the goals of the organisation. It focuses over the manner in which the multi-national organisations manage their human resource so as to gain an advantage at domestic as well as international level. Organisational strategies can be understood as the sum total of the actions of the organisation which are intended to be undertaken so as to achieve the objectives of the organisation. These strategies sum up strategic plans of the organisation. The main motive of multi-national organisations is to expand the area of operation by managing the efforts of the organisation and by managing the human resource of the organisation in an effective manner. Multi-national organisations expand their operations so as to enhance their performance and to grow in the future. There are various functions of international human resource management which helps the international organisations to deal with the human resource of the organisation in a better manner (Gunnigle, et. al., 2013). Recruitment: this is the most common function of human resource management as the main motive of the human resource management is to identify the requirement of the human resource in the organisation, to make the arrangement of the required human resource so as to manage the operations of the organisation. The requirement of every organisation differs from each other as the requirement of the type of human resource depends upon the type of activity or operation which needs to be performed. It is the most important aspect for every organisation to procure, manage and utilise its human resource so as to attain the desired results (Belizón, et. al., 2016). Training: the second function of the human resource management is to analyse the need of training among the human resource management so as to develop the skills and knowledge possessed by the human resource. Training process helps in preparing the human resource so as to develop their capabilities for the purpose of dealing with the changing environment and the other aspects related to the business. Human resource is the most important asset of an organisation. Training process helps in preparing the human resource as in the multi-national organisations there is a need to learn the skills for cooperating with the other employees so as to perform the operations. It helps the international organisations to manage the tasks in a better manner by coordinating with the human resource of the organisation operating from the different places. Professional development: under this function of the human resource management, human resource of the organisation is provided opportunities so as to develop the human resource for the future prospects and to help them grow. For these purpose multi-national organisationsprovides opportunities to the human resource for achieving the goals and objectives of the individual for enhancing its professional life. Opportunities are provided to the human resource in the form of offering chances to attend conferences, external skills training programs.It helps in generating confidence among the employees or human resource and motivating the employees for performing in a better manner (McDonnell, et. al., 2011). Benefits and compensation: for the purpose of motivating the human resource multi-national organisations need to provide benefits or compensations to the human resource. The benefits and compensation offered to the human resource can be in the form of monetary and non-monetary. These benefits motivate the human resource by encouraging them to enhance their performance. Multi-national organisations can offer these types of benefits or compensations so as to support the human resource and to encourage them. It is an important aspect or function of human resource management as it is crucial for every organisation to look after the needs of the human resource so as to satisfy their needs for achieving the support of the human resource (Reis, et. al., 2014). Ensuring legal compliance: it is the responsibility of the human resource management to comply with the legal factors so as to avoid the legal consequence. There are various laws, rules and regulations framed by the government of different countries. Human resource management need to look after these laws, rules and regulations so as to ensure that these rules are followed by the organisation. There are various rules and regulations framed by the government of the different countries for the purpose of safeguarding the interest of the human resource and to provide fair treatment and a safe workplace to the human resource of the organisation.These laws include anti-discrimination act, equal pay act, and acts regarding the working hours for the human resource, rules and regulations for minimum wages to the human resource. Human resource management need to focus over providing a healthy and safe environment at the work place. Organisational strategies are focused over the plans so as to ensure that the strategies are formulated by focusing over the human resource of the organisation. Growth and expansion strategy: the growth and expansion strategies of the multi-national organisations need to be focused over the human resource of the organisation so as to ensure the execution of the activities of the organisation in an effective manner. The main motive of every business is to expand the area of operation so as to attract a large number of customers for forming a strong customer base and to enhance the performance of the organisation in the market and to improve the position of the organisation in the market so as to hold a place in the market. For the growth of the business there is a need to maintain a satisfied work force. Human resource helps in the attainment of the objectives of the organisation by executing the activities of the organisation (Massaro, 2013). Development strategy: development strategies of the organisations are framed and implemented in an organisation with a motive to develop the aspects of the organisation which helps the organisation in performing its activities. Every organisation need to implement development strategies so as to ensure that all the resources of the organisation are well managed and are effective.Development strategies help in the development of the skills and knowledge of the human resource of the organisation. For the purpose of development of the human resource of the organisation, there is a need to identify the training needs of the human resource which will enable the organisation to effectively manage its human resource and to gains support of the human resource (Steensen, 2014). Welfare strategy: welfare strategies of the organisations are focused towards the wellbeing and safety of the human resource of the organisation so as to ensure that environment of the organisation is maintained. It develops the morale of the human resource and helps in promoting the fair practices in the environment of the organisation. Multi-national organisations need to manage the human resource working at the different places so as to focus over the objectives of the organisation. It is the responsibility of the organisation to look after the health and safety of the human resource. Integration of IHRM and strategies of the organisation can be understood as combining both the aspects and using it so as to improve the performance of the multi-national organisation with a motive to manage an effective work force. Integration of the international human resource management and the organisational strategies of the multi-national organisations enable the organisation to manage the human resource and the operations of the organisation in an effective manner and ensure the effectiveness in the operations of the organisation. The functions of International human resource management and organisational strategies of the organisation helps the management of the multi-national organisation to plan the strategies by focusing over the human resource of the organisation so as to ensure the maintenance of the work force as per the requirement of the organisation and keeping a healthy work force. This will help the organisation to expand the area of operation and enhancing the performance of the organisation. Multi-national organisations are operating at a large level and there is a need to maintain a balance among the organisations at its different levels so as to develop the chances of growth of the organisation. Human resource management and organisational strategies both plays an important part for every organisation and both these aspects help the organisation to achieve the objectives of the organisation (Bourne, et. al., 2013). During the integration process of the international human resource management and organisational strategy in a multi-national organisation, the multi-national organisation can faces various challenges which need to be dealt in a proper manner so as to reduce the adverse impact of these challenges over the organisation (Lobanova & Melnikas, 2012). The major challenges which can arise during the integration process of both the aspects include the lack of proper efforts or knowledge which can affect the organisation at huge level, rigid nature of the organisational strategies, size of the organisation and less effective human resource management functions or practices. The lack of knowledge of the management aspect and strategies to the organisation affects the implementation process of the integration of the International human resource management functions and organisational strategies. This affects the performance of the organisation at large. The next challenge is to rigid nature of the human resource management practices or strategies of the organisation affects the implementation or integration process as it will affect the implementation and leads to negative or adverse impact over the organisation. Organisational strategies adopted by the organisation need to be flexible so as to mould them as per the requirement of the organisation. Size of the multi-national organisation is large and the number of the human resource of the organisation is large. This size of the organisation affects the integration process as the lack of proper communication among the different subsidiaries of the organisation affects the integration of IHRM and strategies of the organisation. Communication channel need to be proper so as to communicate within organisations in an effective manner.Less effectiveness of the management functions affects the quality of the human resource of the organisation which results in failure of the strategies of the organisation(Lobanova & Melnikas, 2012). This program has been conducted so as to understand the role of human resource management functions and organisational strategies in a multi-national organisation. This report discusses the functions of human resource management and strategies of an organisation. It also provides or generates an understanding of the importance of the integration process of the International human resource management and organisational strategies in a multi-national organisation which helps in enhancing the performance of the organisation and about the various challenges which can be faced by the international organisation from the integration of both the aspects. Belizón, M.J., Morley, M.J. & Gunnigle, P. 2016, "Modes of integration of human resource management practices in multinationals", Personnel Review, vol. 45, no. 3, pp. 539-556. Bourne, M., Pavlov, A., Franco-Santos, M., Lucianetti, L. & Mura, M. 2013, "Generating organisational performance: The contributing effects of performance measurement and human resource management practices", International Journal of Operations & Production Management, vol. 33, no. 11/12, pp. 1599-1622. Gunnigle, P., Lavelle, J. & Monaghan, S. 2013, "Weathering the storm? Multinational companies and human resource management through the global financial crisis",International Journal of Manpower, vol. 34, no. 3, pp. 214-231. Lobanova, L. & Melnikas, B. 2012, "Human Resource Management Development In The Context Of European Integration Challenges", Mokslas : Lietuvos Ateitis, vol. 4, no. 3, pp. 230. Massaro, S. 2013, "Can WHO survive? An organisational strategy question", Lancet (London, England), vol. 381, no. 9868, pp. 726. McDonnell, A., Stanton, P. & Burgess, J. 2011, "Multinational enterprises in Australia: Two decades of international human resource management research reviewed", Asia Pacific Journal of Human Resources, vol. 49, no. 1, pp. 9-35. This is a partial solution of MGT307 intrenational human resource management assignment for complete assignment help order us now.